One unique way to see the city of London is to opt for the waters of the River Thames. There are plenty of public transport options in London and these include the famous River Bus services. Visitors can travel from the O2 Arena at North Greenwich and there are five different routes on offer for travellers – each one offering a great way to see some of the famous sites in London. There are boat routes to the areas of Putney and Woolwich, which provide a great way for people to sit back and enjoy the sites, as well as some onboard refreshments – plus it means avoiding the heavy traffic on many roads into the heart of the capital. Tower Pier offers the chance to take a 45-minute boat tour of the City of Westminster, while another option includes a 40-minute circular sightseeing cruise between the Houses of Parliament and Tower Bridge from London Eye Pier. In addition, Greenwich Pier is also a good base for regular tours that pass by landmarks such as the Tower of London, the London Eye and Westminster Abbey. There’s also the option for high-speed tours that could appeal to thrill seekers, these RIB tours operate from London Eye Pier and St Katharine’s Pier. 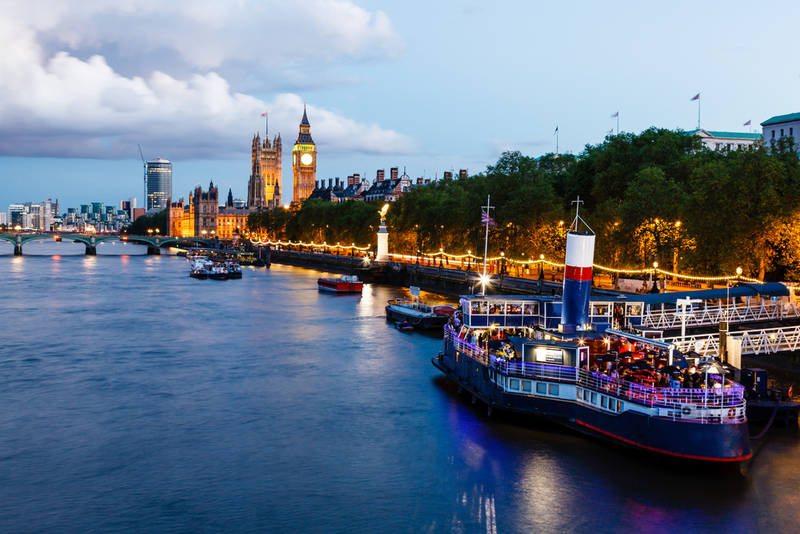 For those who prefer to make a day of it, there are plenty of sedate boat tours complete with the change to enjoy an afternoon tea or evening meal, with plenty of services running from Tower Pier and Westminster Pier. More information about the options for traversing the capital, visitors should head to the Transport for London website where full details of stops, timetables and operating hours can be found. Share the post "Head to London’s famous river"
This entry was posted in London Attraction and tagged London attraction, River Thames guide. Bookmark the permalink.